Wentworth Wooden Puzzles is a British wooden jigsaw maker based in the countryside of Wiltshire, their skilled team use state-of-the-art lasers to create premium quality jigsaws and they produce over 150,000 puzzles a year. 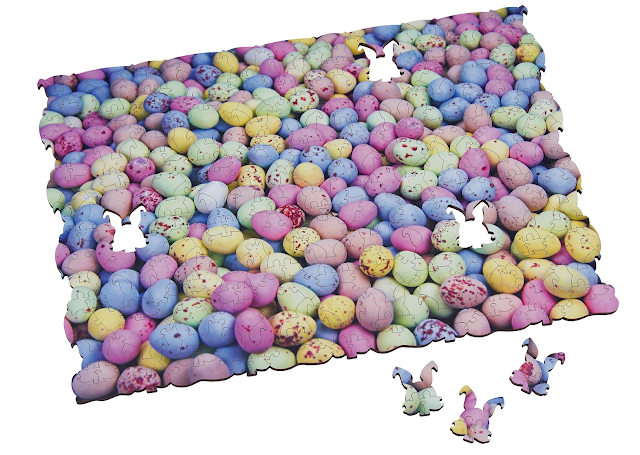 I picked out the Egg-xtra Difficult jigsaw as I thought it would keep me occupied over the Easter holidays coming up! I think this would make a great gift for anyone as it allows you to distract yourself from the stresses of everyday life and can be entertaining and rewarding. It has 260 pieces and has unique bunny shaped jigsaw pieces, which I've never seen before with a jigsaw before so I was intrigued. The puzzle has an irregular edge to make it even more difficult to solve.